The Perth Mint is delighted to offer investors a new bullion coin featuring this majestic bird which is known to soar to dizzying heights. Each bullion coin is presented in an acrylic capsule, from an unlimited mintage. 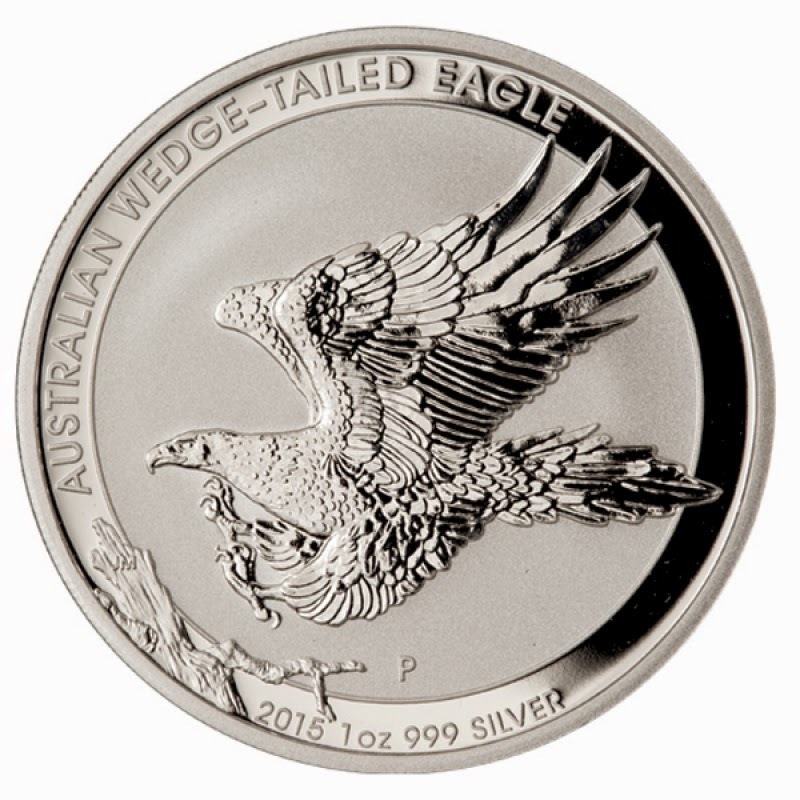 One of our favourite silver bullion coins of 2014, indeed of modern times, the Wedge-Tailed Eagle coin designed by John Mercanti for the Perth Mint had its debut last year. First released as high-relief silver and gold coins with mintages of 10,000 and 1,000 respectively back in January 2014, they followed up with a standard silver proof and a fantastic five-ounce high relief coin last May. This year will almost certainly see new releases of most, or all of those. The bullion coin, while not as impressive as the completely sublime High-Relief versions, remains a beautiful piece, and if last years mintage limit is repeated, a relatively rare one by bullion standards. Last year, 10% of the 50,000 mintage was sold by Australian dealer Ainslie Bullion but we’re currently unsure when or if they will be the dealer selling them this year. We understand that any Australian issued coin has to have 10% of its mintage sold in Australia, thus explaining why GovMint don’t get all the coins to themselves. This would indicate that the same would be the case this year, but GovMint do not list a mintage for the 2015 release, so how many an Australian dealer would get is unclear at present. We’ll try to find out.